Ailevon Pacific Aviation Consulting was established by experienced aviation professionals with extensive experience in Network Planning, Revenue Management, Operations, Airport Management, Aviation Strategy, and Management Consulting. Our roster of diverse clients includes airports, airlines, tourism bodies, and governments from around the world. In particular, we have significant experience in North America, Australia, New Zealand, and the Pacific Islands. We’ve also worked extensively in South East Asia, North Asia, the Indian Subcontinent, the Middle East, Europe, and South America. Our office locations in Sydney, Australia; Dallas, Texas; Seattle, Washington; and Atlanta, Georgia reflect our global footprint, providing our clients with unparalleled access to many of the world’s largest airlines. We are committed to doing the right thing for our clients, our industry, and our community. At Ailevon Pacific Aviation Consulting, the most important asset we have is our reputation, and earning our clients’ trust and respect is our most important aim. 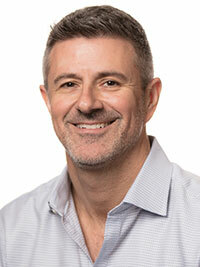 Brad DiFiore is a Managing Director at Ailevon Pacific. He has over 26 years of airline industry expertise under his belt. Brad works extensively as a liaison between airlines and communities. Prior to co-founding Ailevon Pacific, Brad was Director of Airport Consulting Services at Sabre Airline Solutions. At Sabre, he managed a diversified portfolio of clients and engaged in projects in both domestic and international markets. Previous to joining Sabre, Brad had over thirteen years of experience at Delta Air Lines, with an extensive background in Network Planning and Scheduling. In his last role at Delta, Brad was responsible for developing and maintaining relationships between the carrier and airports/communities worldwide. Brad holds a Bachelor of Arts degree in Business Administration from Michigan State University. Oliver is a Managing Director at Ailevon Pacific. He has substantial experience in the aviation industry in a wide variety of capacities, including airline operations, distribution, industry advocacy, airport business development and strategy consulting. Beginning his career at Canadian Airlines and Business Travel International, with a deep understanding of the aviation industry and fluent in English, French and Spanish, his career has seen him working throughout the Asia-Pacific Region and Europe on the industry’s most challenging issues. Prior to co-founding Ailevon Pacific, Oliver was a strategy consultant for the aviation industry and for Port Jackson Partners, one of Australia’s leading corporate strategy firms. Oliver holds a Bachelor of Arts and a Bachelor of Commerce (Economics) from the University of Sydney and is a Member of the Financial Services Institute of Australia and the Institute of Management Consultants. Rhett has over 15 years of airline industry experience. 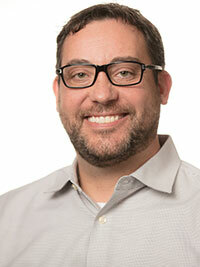 Prior to joining Ailevon Pacific, He was Senior Manager of Network Planning and Performance for Southwest Airlines. During his tenure at Southwest, he held various commercial leadership roles focusing on Network Strategy, Capacity Planning, and Integrated Commercial Planning. He has been a noted speaker at Network Planning conferences and air service development forums. Previous to joining Southwest, Rhett had seven years of experience at Delta Air Lines, working in the areas of Revenue Management, Corporate Sales, and Network Planning. Rhett holds a Bachelor of Science in Accounting and Management from Kansas State University and a Masters of Business Administration in Aviation Management from Embry Riddle University. 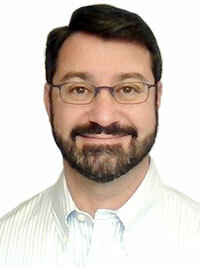 Jordan has over 25 years of experience in the aerospace and aviation industries. Jordan is a frequent speaker at travel industry conferences and appears at aviation events around the globe. 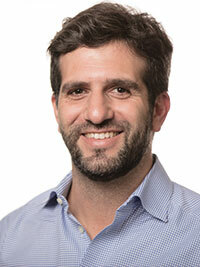 Prior to joining Ailevon Pacific, Jordan spent a decade at Diio, leading the firm’s sales and support efforts for its industry-leading web-based aviation data products. Before that, Jordan spent two years at Diio’s sister company Seabury Airline Planning Group as consultant for airline network and fleet issues and airport air service development programs. Jordan’s direct airline experience came as the Manager of International Route Planning at US Airways, where he led the team developing the carrier’s network strategy in Europe and the Caribbean. He started at US Airways in the airline’s Financial Analysis department. Jordan also served nearly a decade as an officer in the U.S. Air Force. Jordan holds a Bachelor of Science in Computer Science from Stanford University, a Master of Science in Computer Science from the Air Force Institute of Technology, and a Master of Business Administration from Harvard Business School. 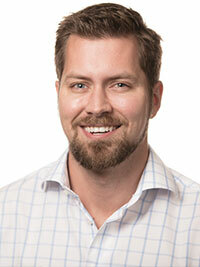 Joel has more than a decade of experience in the airline industry, working for both US Airways and American Airlines. He began his airline career in Network Planning, and has held positions in Strategy & Long Range Planning and International Route Planning. 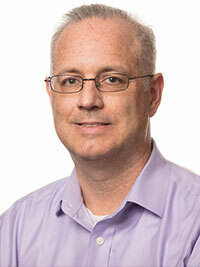 Additionally, Joel has also held leadership roles in Technology Automation and Passenger Sales Audit. He brings to Ailevon Pacific a well-rounded understanding of the airline business, and also an intimate knowledge of how airlines make route planning decisions. Joel holds Bachelors of Science in both Marketing and Spanish, as well as a Masters of Business Administration, all from the University of Wyoming. 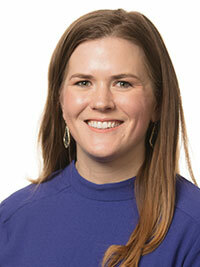 Carrie is a Senior Consultant at Ailevon Pacific. Prior to joining APAC, she worked at Southwest Airlines in a variety of roles. The most recent of those was in Business Development on the Commercial Initiatives team, where she focused on identifying revenue-generating ideas within the commercial space and constructing business cases to implement those ideas. Additionally, she played a pivotal role in the creation and development of Southwest’s five-year strategy and capacity plan by conducting competitive analyses and customer research regarding the future of the airline. She also has extensive experience in Capacity Planning, Network Strategy and Customer Insights. Carrie holds a Bachelor of Business Administration in Marketing and Management from Texas Christian University and a Masters of Business Administration in Marketing from Southern Methodist University. Nicolás has a unique combination of commercial aviation experience. He has worked in the industry for more than 13 years, both for airlines and airports. Prior to joining Ailevon Pacific, he was the Director of Air Service Development at Tampa International Airport (TPA). During his time at TPA, Nicolás secured highly sought after international and domestic routes. In addition, he led the development of the airport’s 5-Year Air Service Strategic Plan. Nicolás joined TPA from Southwest Airlines, where he held various commercial roles focusing on Network Strategy, Capacity Planning, and Integrated Commercial Planning. Nicolás also spent time at Spirit Airlines, Continental Airlines, and US Airways, providing him first-hand insights on Legacy, Low-Cost, and Ultra Low-Cost commercial aviation models. Degree from Universidad Católica de Cordoba, Argentina and a Masters of Business from the University of Nebraska. Kiven is an aviation consultant at Ailevon Pacific. He is primarily focused on aviation business analysis as well as strategy development by utilizing applied data analytics. Drawing on his past experience from the aviation industry, Kiven has worked in a variety of roles in airlines and aviation intelligence providers. Prior to joining Ailevon Pacific Aviation Consulting, Kiven worked on multiple aviation projects within the Asia-Pacific region, including project start-ups, airline operations and resource planning. 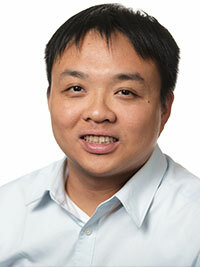 Kiven holds a Bachelor of Aviation from the University of New South Wales and is fluent in Mandarin and Cantonese. Emil has over 10 years experience with the three largest U.S. airlines, including stints in Network Planning and Revenue Management at American Airlines. He was on the Latin America Network Planning team at United Airlines, where he also did Network Planning and Scheduling for United Express. At Delta Air Lines, Emil was a member of the Domestic Network Planning team. 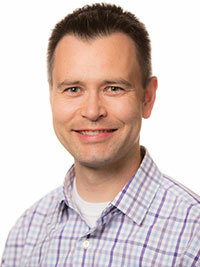 Emil has a Bachelor of Science in Economics from Bradley University and Masters in Economics from Iowa State University. Emil has a passion for acting and has appeared in over ten episodes of The Walking Dead. He currently resides in Atlanta, Georgia. Sophie brings eight years’ experience in the aviation industry, from Asia-Pacific to North America, to Ailevon Pacific. Prior to joining Ailevon Pacific, she was a key member of the air service development team at Vancouver Airport Authority (YVR). At YVR she devoted her analytical skills to securing and introducing 20+ new services to the airport each year. YVR was recently awarded the Overall Winner of the World Routes Marketing Awards in Barcelona. 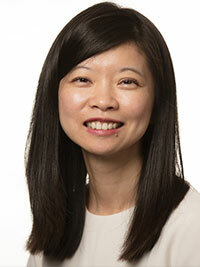 Prior to working with YVR, Sophie worked with Air Macau, a subsidiary of Air China. Sophie holds a Bachelor of Arts in English from Nanjing University of Aeronautics and Astronautics, China, as well as a Master of Business Administration from University of British Columbia, Canada.